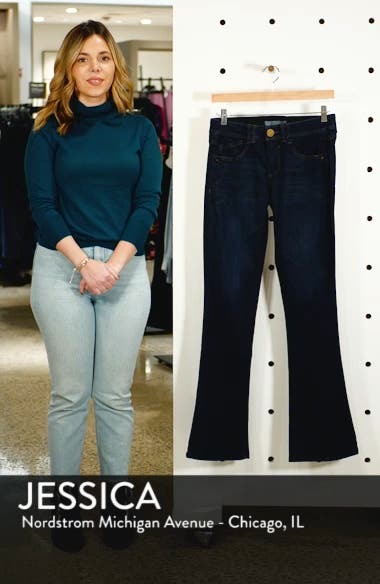 Stretch jeans in a polished dark wash get a lean and leggy look from a slim cut balanced with a narrow boot-leg opening. Choose a sizeIf between sizes, order one size down. Mid rise.